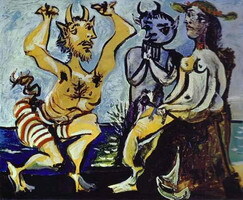 Faun (lat. 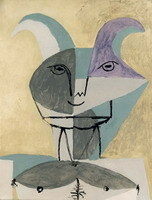 favere — to be supportive) is a kind and cheerful god of woods and fields, who grants fertility to all living things. 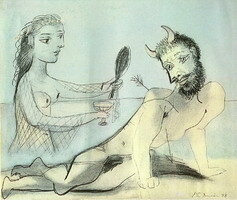 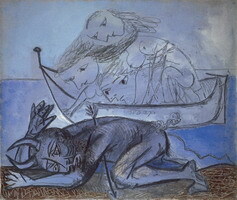 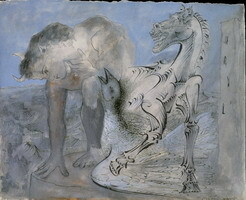 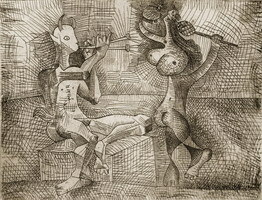 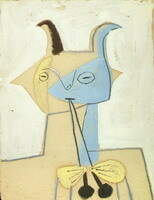 When depicting a faun, Picasso dreams (or recalls) of the carefree times of Don Juanism. 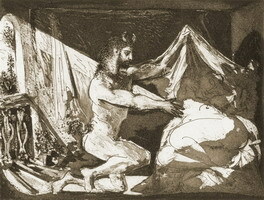 View his 1936 graphics painting “Faun Revealing a Sleeping Woman”, written by Rembrandt’s 1659 etching “Jupiter and Antiope”, which was included in the Vollard Suite. 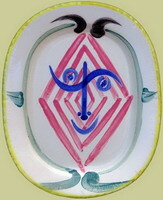 Some researchers have suggested that in addition to the mythological interpretation, the nostalgic motifs of relationship with Marie Therese Walter (which lasted until 1936) can be seen in the painting.